I'm a bit overdue for one of my "Place of the Day" posts, so I thought choosing one from a region where I thoroughly enjoy exploring and venturing out into the countryside would be the best to do. 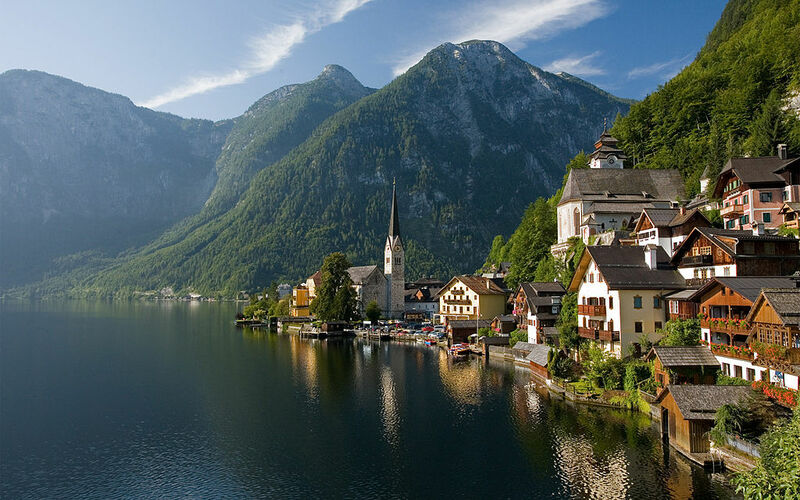 The Salzkammergut Region of Austria starts in Salzburg and tracks along the Traun River to the Alps and Dachstein mountain area. It is also a UNESCO World Heritage Site. Flying into Salzburg is relatively easy with many European airlines providing direct flights. From the US, Austrian Airlines is a Star Alliance partner and connects Vienna with many hubs including Newark, Chicago, and Los Angeles. Connections to Salzburg can be found here. 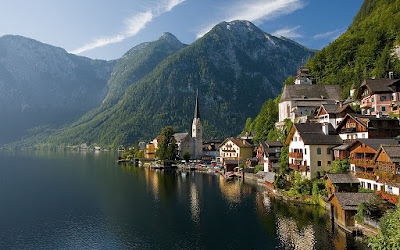 Getting to Hallstatt itself can be done by car, bus, or train - I would probably choose the train option over the others. Between Salzburg and Vienna, a stop at Attnang-Puchheim, and transfer toward Bad Ischi and one stop north of Obertraun. Adventure!